With tours alongside Two Door Cinema Club, Blaenavon and White Lies tucked tightly under their leather-studded belts and a stint opening the prestigious Other Stage at Glastonbury last year, the band are somewhat overwhelmed by the attention they’ve received in such short time, their namesake’s roots emulated in the devotion they exude for their ever growing fan-base. “I want to make people dance and let go, I got sick of going to shows and feeling as though I couldn’t let go. When you’re singing about things that unnerve you, your insecurities, being lost in your twenties and trying to discover who you are, it’s like therapy for me going up on stage every night and being able to release it. When an audience can connect with that and it give it their own meaning, it makes us feel like we’re not doing this for nothing”. For a band whose sound has been previously described as a ‘blending of banana with aspirin and vodka’, their two EPs, debut release Breakfast and new record Drunk, certainly tie into these themes. With new guitarist Couzens on board to shake up the Anteros cocktail, they were determined to serve up an offering more delicious (and intoxicating) than before. “Jackson’s brought his element to Drunk and certainly left his mark. The biggest difference for me is that we were given the chance to prepare to record properly; Breakfast was a hodgepodge, a puzzle, a bunch of demos stuck together, but we were able to put a lot more thought and care into it this time, which the songs deserve. Drunk is a lot more cohesive, and we’re a baby band who are still trying to find our feet”. Still riding high on a whirlwind year for the group, their next stop comes in form of their first headline tour, with a stop off at Jumpin’ Jack’s on Friday 29th September. “I love Newcastle, it’s very special to us because it was the first place where people knew our songs and we had mosh pits! You’re never going to forget that…we also adore The Pale White”. 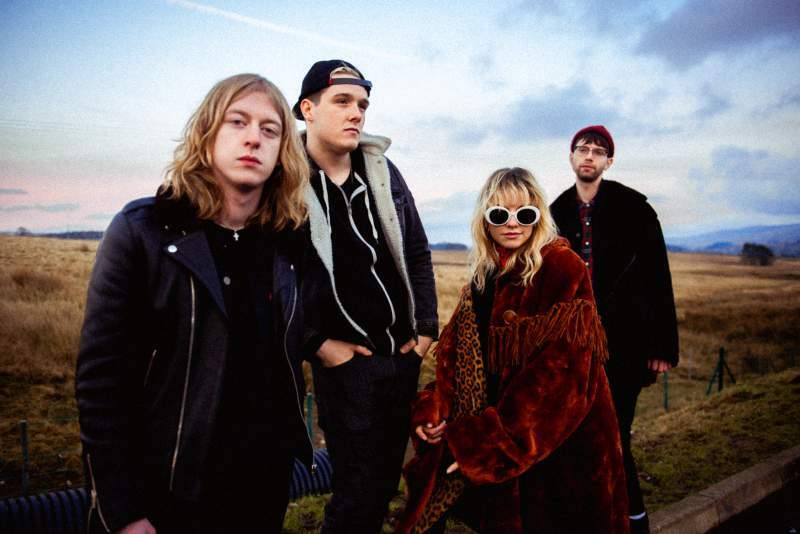 With whispers of more new music trundling along the distant horizon, Anteros are a force that not even the powers of the mythological Gods could barricade. Anteros play Jumpin’ Jacks on Friday 29th September. Drunk is out now on Distiller Records.